Hi everyone and welcome to Friday Fiction Facts! This week, in hopes of saving you from embarrassment, I’d like to highlight some sciency blunders that people before you have made. Some of these were pretty public, so be glad you’re getting warned before your book comes out. Take a look at this British coin. What’s wrong with that picture? Hint: count the gears. Did you get 19? Me too. So here’s the thing — an odd number of interlocked gears will never turn. They will lock into place. Now, of course, the gears on the coin were just meant to be a representation of the advancements of British industry. They aren’t supposed to turn, but still, the idea of the image is “motion,” the sense of things chugging along. Yes, it’s just an image, but wouldn’t you hate to get that wrong on your book cover? Lenses. It’s all in how you look at them. This one is for my high school readers. 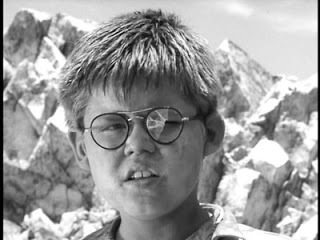 When you read Lord of the Flies, one of your test questions is going to look like this: What is the significance of Piggy’s glasses? There’s probably a real answer there that you ought to put on your exam. But for extra credit, point this out –his glasses are magic! Why? Because at the beginning of the book we learn that Piggy is nearsighted. In other words, he can’t see distance. Later, the boys use Piggy’s glasses to start a fire. Nearsightedness is corrected by using diverging (or concave) lenses that produce an image closer to the eye than the object, so that the nearsighted person can see it clearly. In effect, they scatter the light. But to start a fire, you need to focus the light. To do that would require a converging (convex) lens. It seems Piggy’s lenses magically do both. You know the order of colors in the rainbow, right? From the top : Red, Orange, Yellow, Green, Blue, Indigo, Violet. Too bad the Care Bears got it wrong. As did many others. But, there is another thing you might want to know about rainbows. In the case of a double rainbow, the upper rainbow will have the colors reversed. This is because the secondary rainbow is caused by light reflecting twice inside water droplets. (Sorry Care Bears, you’re still wrong.) Finally, you should also know, there is no pink in a rainbow. Indigo is a dark hue found between blue and violet. So I hope those few things are enough to keep you out of science trouble for a short while anyway. Keep writing! This post made me laugh out loud. My favourites are the artistic liberties with the rainbow, and the fly who thought he was a bee. I may have found inspiration for my weekend writing. This may be a dumb question, but why is it that an odd number of gears won’t turn, while an even one will? That’s a great question Christina. In fact, I wondered it myself. As you can see, if you turn the top gear clockwise, it turns the two gears that it’s touching, counterclockwise. So far so good. Now each of those turns the next two gears clockwise again. But, they can’t both turn clockwise because they are touching each other. Now it’s locked. However, if you inserted a 6th gear between gears 4 and 5, they could each turn clockwise and gear 6 would happily turn counterclockwise and your gears system would work. I searched for a video to demonstrate this, but didn’t find anything. Will let you know if I do. Thanks for your question and thank you Gwynn and Adrienne for your comments.